Nothing is better than to protect your health or heart disease then trying to prevent it. My mom suffers high blood pressure, IBS and high cholesterol. I do worry about her since she is getting older. 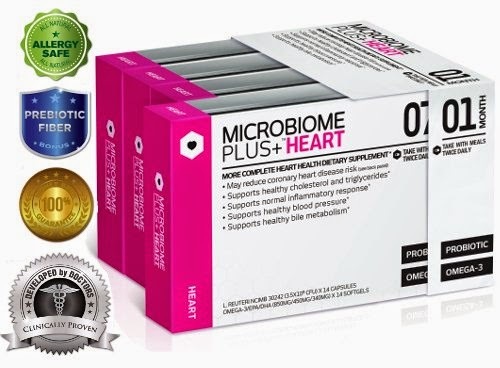 I gave these Microbiome Plus + Heart Probioltic for her to use for over a month now. She has seen an improvement with IBS from taking these pills and protecting her heart from heart disease. They also help lower cholesterol and blood pressure. It boosts your immune system. She does see a difference in all aspects of her conditions. Probiotics is very important for your health. I also take a supplement since I suffer from a few conditions myself. She is happy with her results, her cholesterol dropped slightly she is on medication for that. The best it has helped her is with her IBS and gastrointestinal tract. She is suffering a lot less pains. I received this complimentary in exchange for my unbiased opinion and review.